All in all I’m glad with the way they came out. This color scheme is very different from my Haqqislam stuff so I can jump between the two groups if i need a break from one color palette. I’m also very pleased with how the rusted metal bases came out. They’re from Secret Weapon’s Tau Ceti. The sheets of “paper” are made out of thin plasticard and help add some extra hight and variety to the bases. I might add some text and color to them later, but this’ll do for now. So that’s what I’ve been up to. I’m a busy little bee. 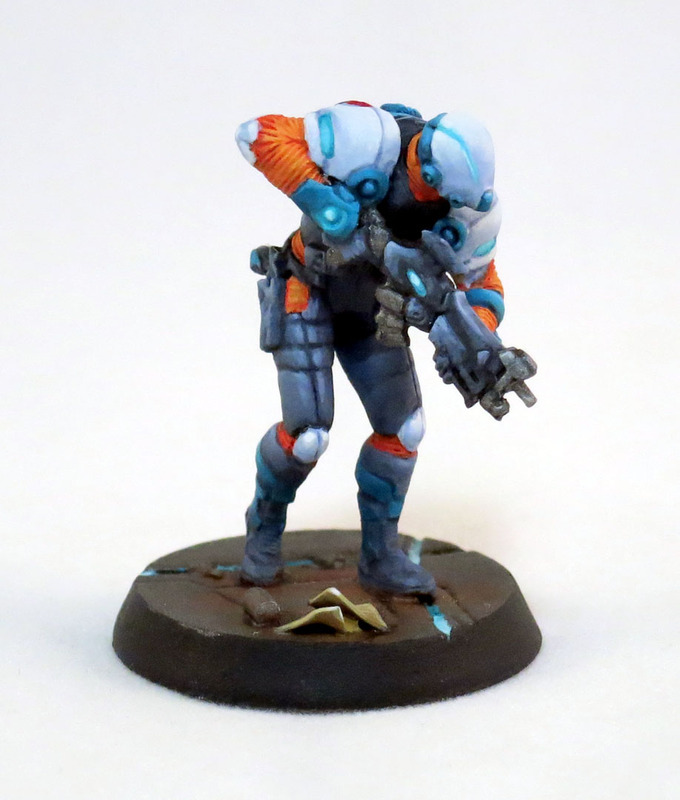 This entry was posted in Miniature Painting and tagged Corregidor, David Montalvan, Infinity, Infinity the Game, Miniature Painting, Monty, Nomads, Painted nomads, Painting, Table Top by osographic. Bookmark the permalink. Wow these guys came out absolutely stunning!! Just so clean and impressive. Thanks so much for the feedback! I’m a big fan of using cool grays for highlighting black. I used to use Games Workshop’s line but I find that they’re a bit too blue. Recently I started using Reaper’s Master Series Paint and I really like them. I dig the color scheme. I wonder which orange color you used there? 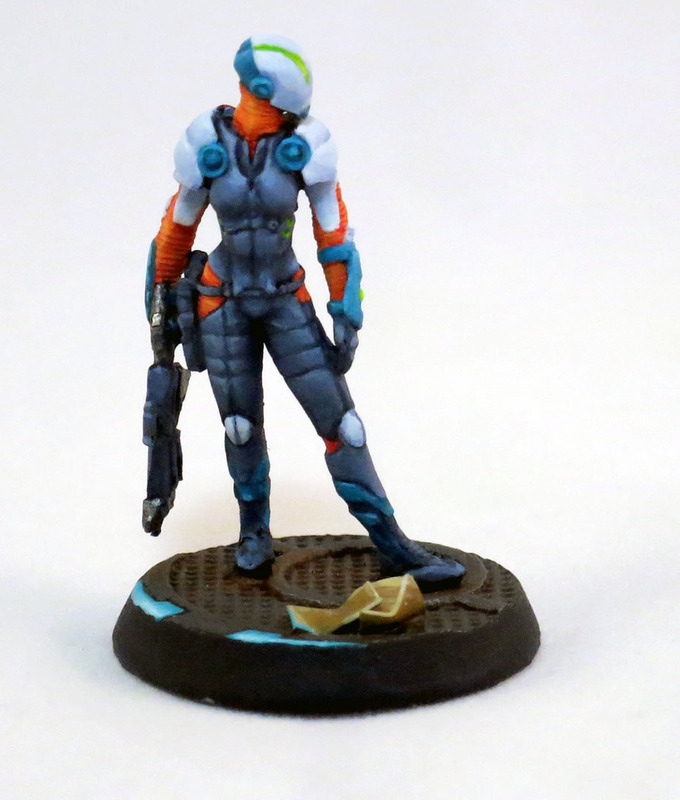 I plan on using my usual orange in my models (I am a nut for the color), but I do like the vibrant look to your orange tone.